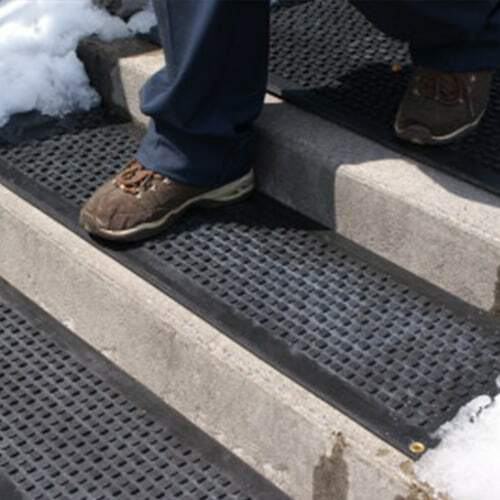 HOT-blocks Heating Mats | Quality of Life Products | KEMF Inc.
HOT-blocks™ are outdoor industrial heated mats that keep walkways and stairs safe in inclement weather. 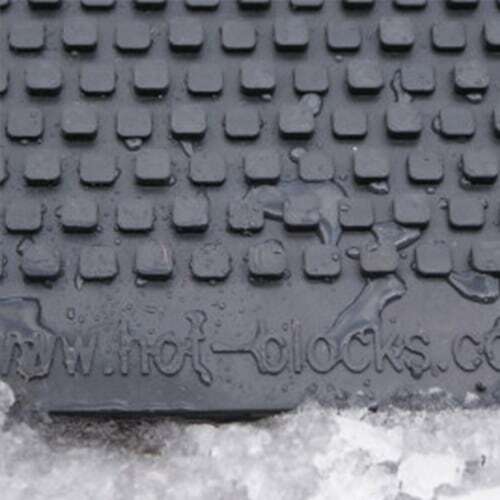 More versatile than simple rubber mats, these mats have heating elements designed to melt away snow. 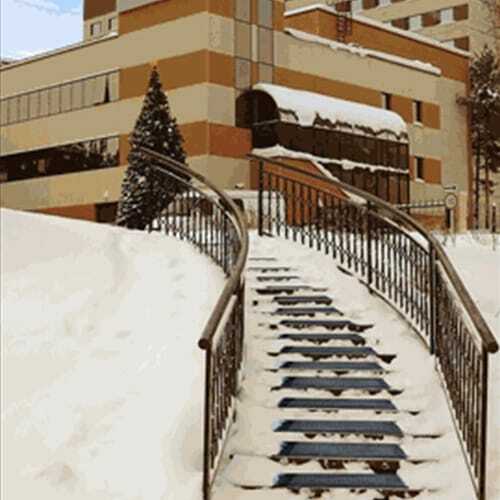 UV-protected and inter-connectable, HOT-blocks™ can be used on stairs, doorways, handicapped ramps, and alleyways. 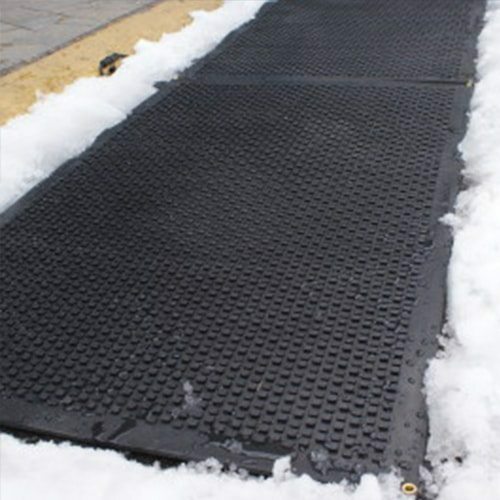 These Canadian-designed mats can be used in high traffic areas where it’s most important to minimize slip and fall risks. The recommended surfaces upon which our mats can be used are: Cement, stone, plastic decking, marble, granite, metal, concrete blocks, modular stones or blocks. If there are any questions, please call KEMF. Interconnectable up to a maximum of 15 amps per area, the units are plugged into a GFCI (ground fault circuit interrupter), which is available for 120V and 240V systems. Our heated mats are compatible with any standard outlet (120V, 230V or 240V). Rugged rubberized mats are a sign of your commitment to staff and visitor safety. During winter months, snow buildup becomes more than just a hassle for maintenance staff. Snow and ice can be real safety hazards that cause liability issues for your entire business. Slips and falls contribute to employee absenteeism and preventable accidents. Our heated mats will melt up to two inches of snow per hour, fast enough to melt most falling snow on contact. We can pair our units with a thermostat or snow sensor for automated control. 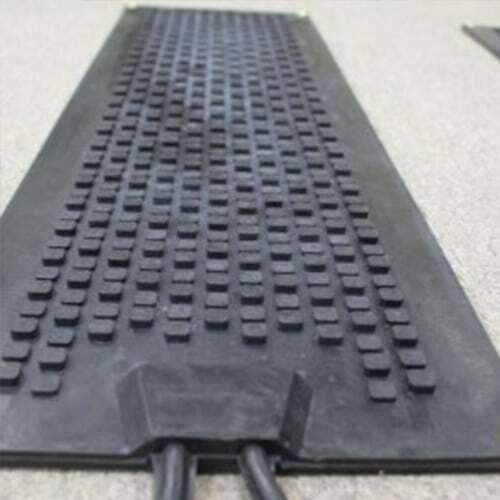 Our systems are tough enough to be used on driveways, and in high traffic areas where position is a concern, the pads can be screwed into place. We also have a selection of smaller heating mats with a snowflake pattern, appropriate for residential applications.